The EMU Australia Colebrook is a women’s mid-calf, waterproof, suede boot. 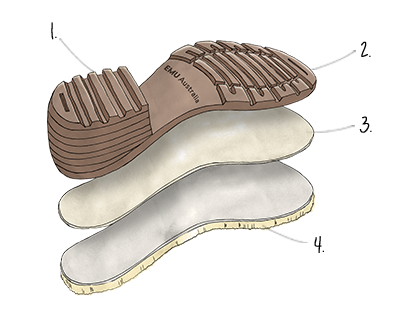 Built on a mid-height heel and rugged rubber sole unit, they are lined with Australian Merino wool to keep feet warm and protected from rain and snow. Designed to take on rain and slush, the women’s waterproof Colebrook boots are made from the finest waterproof leather and suede. A leather biker boot buckle and contrast heel cup gives the boots some edge, while the exposed wool, scallop top line softens the look. The stylish upper and footbed is lined with Australian Merino wool for warmth and comfort while the waterproof rubber outsole delivers winter ground insulation.